The story thus far: Chester’s Mill is a town just like any other – at least it was until the dome came down. As the residents were going about their day-to-day lives, an invisible dome was mysteriously placed over the town, trapping people inside and keeping those outside of the dome on the other side. Viewers have learned that four teenagers may hold the answer to releasing the residents from their invisible prison, though the reasoning behind this has not yet been explained. Within 9 days of the dome coming down, the town’s social structure has already begun to break down, turning ordinary citizens into heroes and/or villains. The deep secrets of some of the town’s residents are beginning to come to the surface while some with secrets are willing to kill to keep their private lives private. After a lackluster showing last week, fans of the series were hoping that this week would signal a return to form. Unfortunately, viewers were instead given another episode that fell flat under the pressure. The writers of the show did what one can only assume was their best with this episode, which has fans worried about what was once a very promising show. The drama was intensified as a main character was shot by Maxine, almost fatally, but the drama was overshadowed by the terrible dialogue that surrounded it. 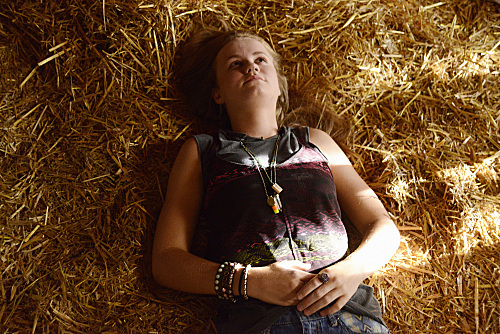 While the four teens presented almost soap opera worthy acting last episode, they were better this week but only barely. They still played their scenes as if the director used rehearsal footage but at least there really were no cringe worthy scenes involving the kids this week. Even worse than the acting and dialogue in this episode, are the holes that are being punched into the plot as the series continues. For instance, Linda, who may be the worst cop in history, finds out that Big Jim is a criminal who is supplying propane to a known drug dealer but still takes his word that Barbie is the real bad guy. Is it because Big Jim is more credible or offers a reasonable explanation for his actions? Nope. It was written that way simply to turn Barbie into a man on the run and to give Big Jim the chance to assert his power, i.e. just to move the plot along. The dome apparently can now communicate its wishes through changes in weather but no one questions the fact that there is weather at all within the dome. How is wind blowing when the town is surrounded by a giant, impenetrable dome? The audience is led to understand that the weather is the dome’s way of voicing displeasure but most of the town’s residents don’t even question the fact that there is wind to begin with. Under the Dome is considered by many readers to be King’s best novel since he was involved in the notorious accident that almost killed him. When the television series was first announced (originally presented as a one-season miniseries) fans were anxious to see the treatment. After all, the story has an interesting premise, wonderful characters, and a mystery that is almost impossible to figure out completely. In other words, the showrunners had plenty of material to use without having to change much, if anything, at all. Instead, the writers and producers saw an opportunity to exploit a one-season miniseries and turn it into a multi-season continuing series and this is where they made their mistake. By trying to drag out the series, they have lost much of what made the novel great in the first place. As it nears the conclusion of its final season, the series is almost unrecognizable to fans of the novel and the fans that tuned in to see one of the coolest villains since Randall Flagg have already given up on the show. Even worse; those that had no knowledge of the book to begin with but enjoyed the first half of the first season have started to lose interest, mainly due to the terrible writing and acting over the past couple of episodes. 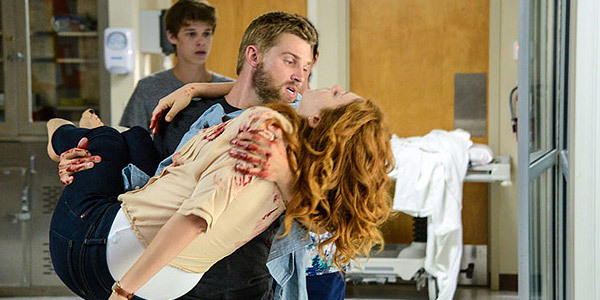 For a show with such promise, Under the Dome is starting to feel more and more formulaic and predictable, and the writing and direction continues to deteriorate with each new episode. There were two or three points this week that viewers may be interested in but those viewers would be better served Googling the spoilers than actually sitting down and watching the last episode.